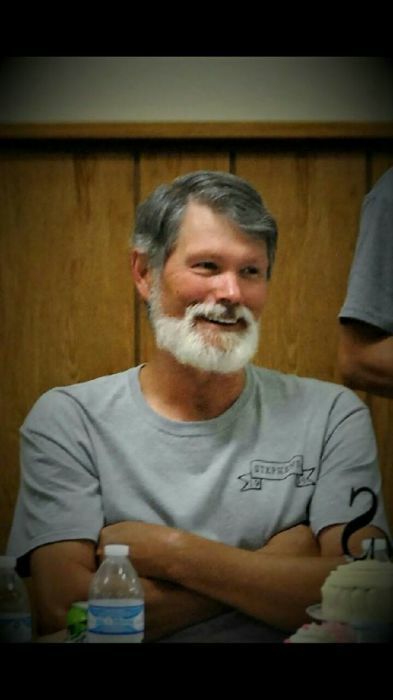 Eddie Roscoe Stephens age 58 of Stearns, Kentucky, passed from this life on Thursday, August 16, 2018 at the UK Medical Center in Lexington, Kentucky. He was born July 18, 1960 in Pine Knot, Kentucky to the late Earl Stephens and Ruby (Bryant) Stephens. In addition to his parents, he is preceded in death by his brothers and sisters, Estel Stephens, Anna King, Earl Stephens, Jr. (Tator Bug), and Melvin Stephens. Surviving family include his wife, Flonnie "Annie" Stephens, whom he married August 25, 1978; his children, Adam Stephens (Karen) of Stearns, and MaryAnn Mayfield (Jody) of Powell, TN; his special granddaughters, Railey Stephens, Chloe Stephens, and Kameron Mayfield; brothers, Darris Stephens (Judy) of Indianapolis, IN, Henry Stephens (Mary Jo) also of Indianapolis, Darrell Stephens (Sue) of Columbus, IN, Johnny Stephens (Donna) of Maryville, TN, Mitchell Stephens, Jackie Stephens, Lester Stephens (Bobbie Jo) and Curtis Stephens (Tonya), all of Revelo, Kentucky; and sisters, Edna Stephens of Whitley City, and Rosie Meece (Danny) of Somerset. Eddie made his living as a foreman with the Pine Knot Lumber Company where he was employed for over 35 years. In his spare time, he had many hobbies he enjoyed sharing with his granddaughters such has hunting, fishing, camping at rock creek, and horseback riding. Eddie was a devoted husband, father, and grandfather and loved nothing more than spending time with his family. Funeral services will be held on Tuesday, August 21, 2018 at 1:00 pm in the chapel of McCreary County Funeral Home. Burial is to follow in Angel Cemetery. The family will receive friends for visitation on Monday after 6:00 pm at the funeral home.